Type of Eclipse: In this article we study the eclipse of 29 Apr, 2014. The solar eclipse is far more serious than a lunar eclipse. However, this year, 2014 it is just an annular eclipse which in Sanskrit, is named ‘madhya-tamas grahaṇa’ which literally means ‘centre-dark eclipse’ or a circle of darkness in the solar disc. The eclipse of 2015 is far more dangerous and is a ‘total eclipse’ occurring on 20 Mar, 2015. 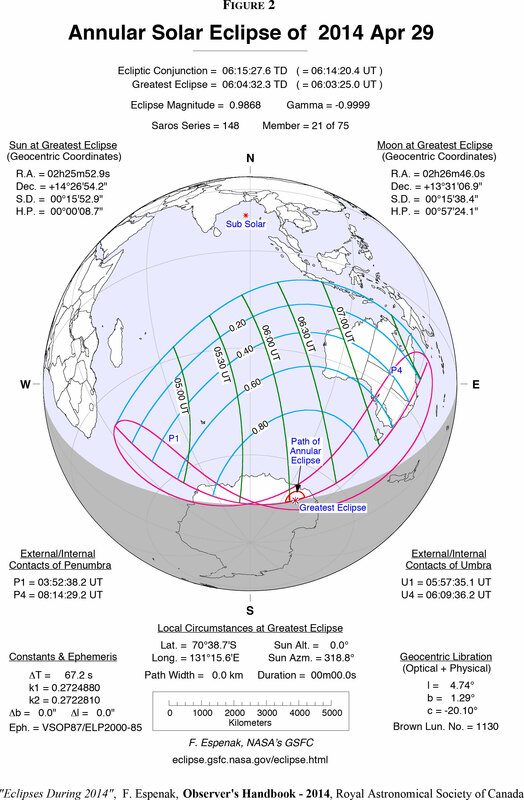 Path of Eclipse: None of the north-hemisphere nations are covered in the path of the annular solar eclipse of 2014 which passes over Southern Indian ocean, Australia and finally has its annular phase over Antarctica. Therefore, I find it hard to fathom the terrible fear and disaster that Susan Miller has been predicting about. In fact, the eclipse of 2015 has a harder path over many nations and is also a total eclipse meriting concern and some remedial measures. It passes over Iceland, Europe, North Africa, and North Asia. It has its total phase over north Atlantic, Faeroe Islands etc. India: The next solar eclipse that is locally visible over India is on 9 Mar, 2016. The lack of visibility make the impact much lessor for the nation as such, but we cannot sya that it does not impact … read on. General effect: Globally the people will tend to become unruly and unjust. Couples will quarrel and divorces and separation will be on the increase. The Brahmins and priests will cease to have faith in prayer or meditatation which will bring down the consciousness globally to a more tamas (dark) level. People are sad and discontented. Who needs to check chart? The eclipse occurs on 28 Apr, 2014 in Washington which is 29 Apr, 2014 in India. 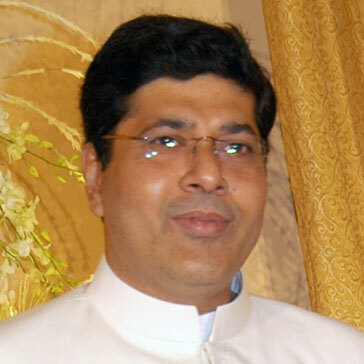 People born close to these dates, say between 25 April to 1 May, must have their charts checked by a capable Vedic astrologer who should provide accurate analysis of their natal chart and the eclipse transit. The eclipse will impact the health and/or life of people born in the same month as that of the eclipse (especially when the eclipse is in the same nakṣatra as natal Sun). We are talking about all people in general, born between 16 April and 15 May. People born between 16-28 April will feel the impact of the eclipse after the eclipse date of 28/29 April 2014. The impact will be strongest for people born on 26-28 April. People born between the dates 29 Apr to 15 May in general, would already be feeling the effects of the solar eclipse in the last six months. Their fears and troubles are likely to subside after the eclipse is over. The eclipse occurs in Bharaṇī Nakṣatra. People having their natal moon (janma nakṣatra) in Bharaṇī nakṣatra must have their charts read specifically for eclipse analysis and remedy for their personal life. People having their names starting with the letter ‘L’ like Lovelace or Leela must get their charts checked for impact on reputation and personal life. The eclipse occurs in Meṣa rāśi which will torment the heads of governments and all political figures. Governments will fall like ninepins all over the world. The aggression of Mars and the lagna needs to be checked in their natal charts. We have already seen the recent fall of Government in France. This trend is likely to continue in many parts of the world. The President will prove his ability and deliver on his promises. This is going to be a period of great success for the government on various counts. Central America shall start to grow in a big way. The government will fall and there will be chaos and many troubles in Madhya Pradesh, East Maharashtra, Uttar Pradesh and North Andhra Pradesh where there will be various political demands and fights. In Chattisgarh and naxalite infested areas of the country there will be great dissent. Many challenges lie ahead for India. However as the eclipse is not visible, the intensity of these troubles will be well contained. This is a particularly difficult period for women in general and the working classes in particular. Since the eclipse is not visible, the intensity will not be as great. Artisans and artists will find it difficult to make a living in the absence of peace. The cleaners will be overloaded and workers will start questioning the rationale behind the political system itself. Foreigners will be very worried and fearful and this includes foreign visitors as well as dignitaries. Some ministers who will fail to perform will resign. It is a bad time for Agriculture with the production dipping and the market demand higher than availability. The church and some extremists can come down heavily on ‘heretics’ and non-believers showing increate in social fragmentation. Traders will rush to make a killing but will run short of funds and costs would eat into their profits. The armed forces would be disillusioned as the army chief loses heart. Again, absence of any eclipse visibility make these milder.